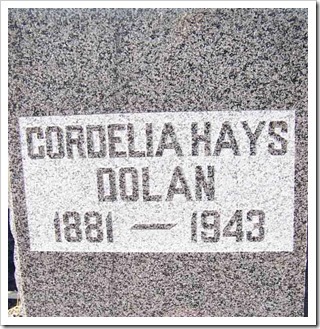 Cordelia Hays Dolan was born in Bridgeport, CA on June 26, 1881 and died Wednesday, August 4, 1943 at the age of 62. Cordelia lived in San Francisco for many years starting around 1918, but returned to Mono County in the summers be near her home town. For over fourty years Cordelia was a teacher who taught in Bodie, Aurora, CA, and Bridgeport and at one time was superintendent of the Mono County Schools. 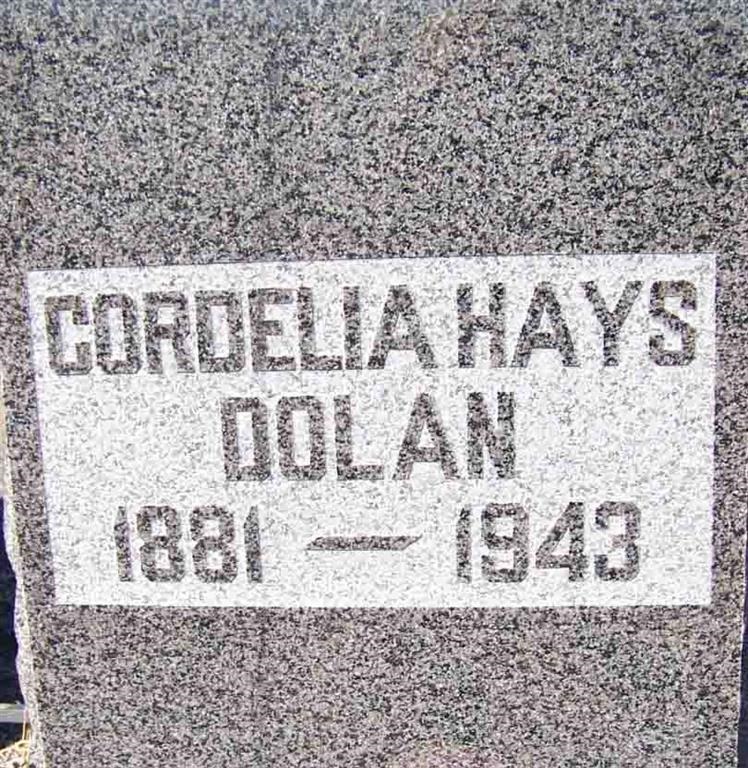 At the time of her death Mrs. Dolan was principal of the Bayview school in San Francisco. She died in Bridgeport following a long illness. Cordelia’s parents were earlier California settlers. She married James P. Dolan on June 26, 1912, who eventually became the sheriff of Mono county. Her family included: Alice Marie Dolan of San Francisco (daughter); G. D. Hays of Burlingame, CA (brother), E. R. Hays of Palo Alto, CA (brother), D. W. Hays of Medicine Hat, Canada (brother); as well as many nieces and nephews. The funeral service was held on Saturday August 7, 1943 at twelve o’clock noon. Cordelia is buried next to her husband in the Bridgeport Cemetery in Bridgeport, CA.